90+- acres of wooded land with streams and ponds. Your very own slice of wilderness located within the "blueline" of the 7 million acre Adirondack Park. 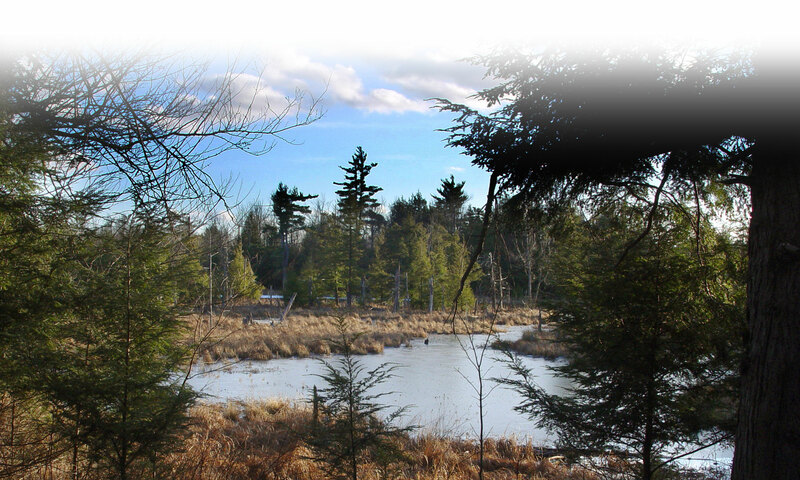 Year round access to this property with plenty of opportunities for hunting deer, bear, waterfowl, small game and fish on one of the multiple ponds or two streams. Potential for building private home or camp... clearing on maintained trail. - There are currently ten productive tree stands and a shooting house in place for you to be hunting this season. - Professionally instrument surveyed with clearly marked boundries. - Potential for building private home or camp... clearing on maintained trail. - 1,400 feet of paved, year round maintained, road frontage. - Situated in the northern foothills of the Adirondack Park. - Electric available on road front. Located within 2 miles of town... churches, post office, town offices, hardware store, fruit stand, convenience store/gas station. And, Lake Ozonia right down the road. Lots of state forest areas and the Adirondack Park for additional outdoor adventures like fishing, hunting, ATVing, groomed trail snowmobiling, boating and paddling. Less than a 1/2 hour drive to Malone or Potsdam, colleges & universities, county seat offices, hospitals, restaurants, hotels, arts & entertainment, casino, shopping, skiing and golf. 1 hour to Lake Placid, less than 2 to Ottawa & Montreal Canada. Call the owner at (518) 856-0017 for immediate response to questions and to walk the property... 7 days a week. Or contact by email. Possible owner financing.